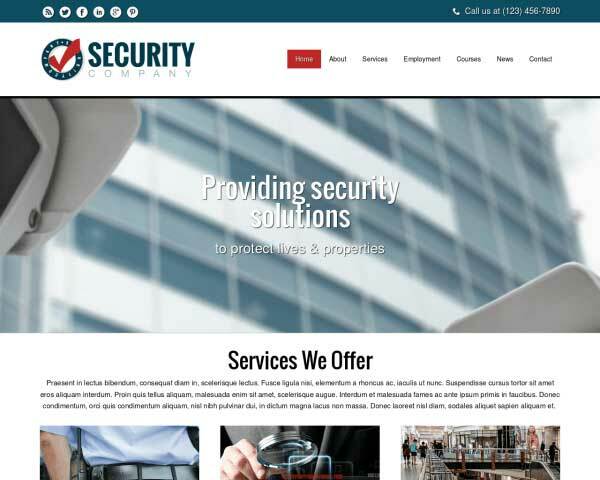 Designed exclusively for security firms, the Home Security WordPress Theme is just right for your business. 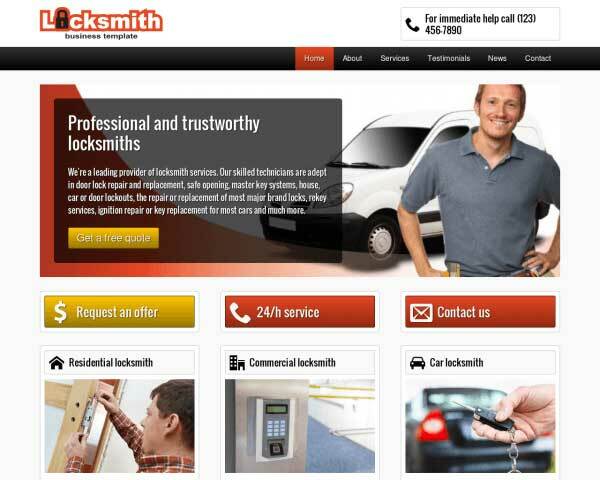 The visually appealing theme makes it drop-dead easy to build an online presence and grow your locksmith business. Simply replace the placeholder content with your text and images and you're off to the races! 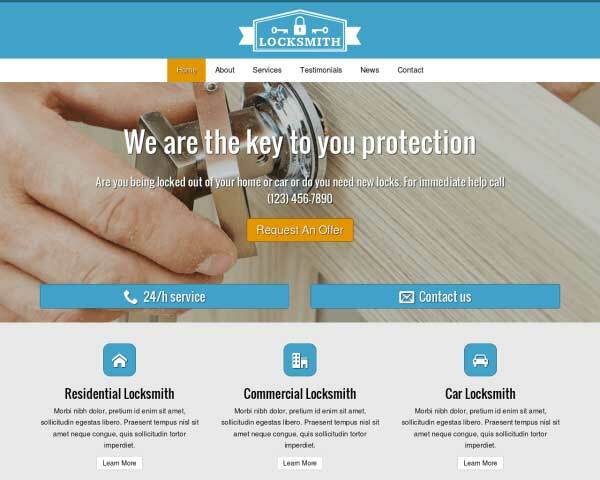 This beautifully designed Home Security WordPress Theme offers much more than just curb appeal. Our quick turnkey installation gets your site online in minutes! This premium WP template is already set up with a professional, responsive design, clean layout and placeholder content to get you started. Customizing the color scheme and content is easy with our unique front-end editor. All that's left for you to do is drop in your own photos and text! 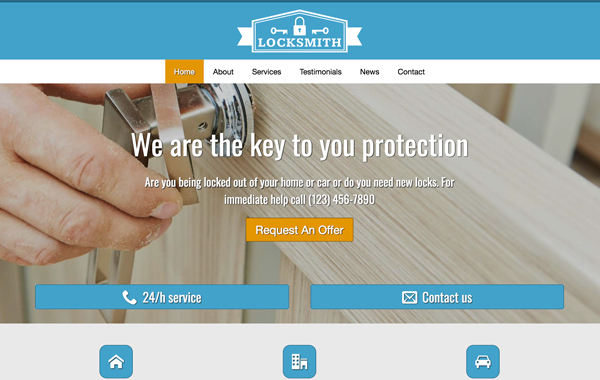 Create a strong, trustworthy online presence and improve your services through an elegant, powerful website with the Home Security WordPress Theme. Try the demo for a preview. The contact page on the Home Security WordPress Theme includes space for your contact details plus an integrated Google map, route planner and built-in form. 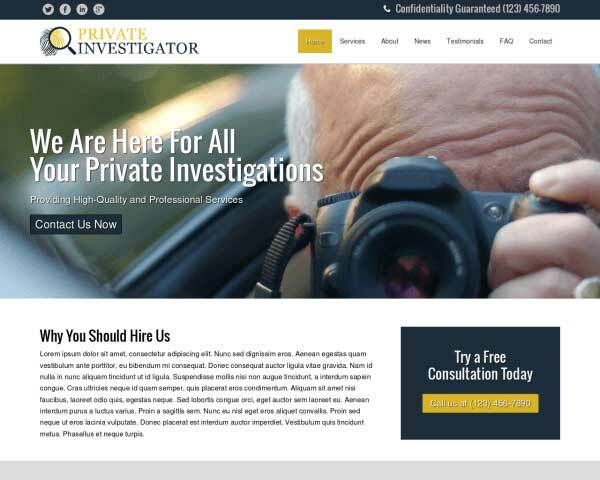 Setting up a dedicated page of what your clients can expect from you conveys professionalism and channels the right expectations concerning your security services. 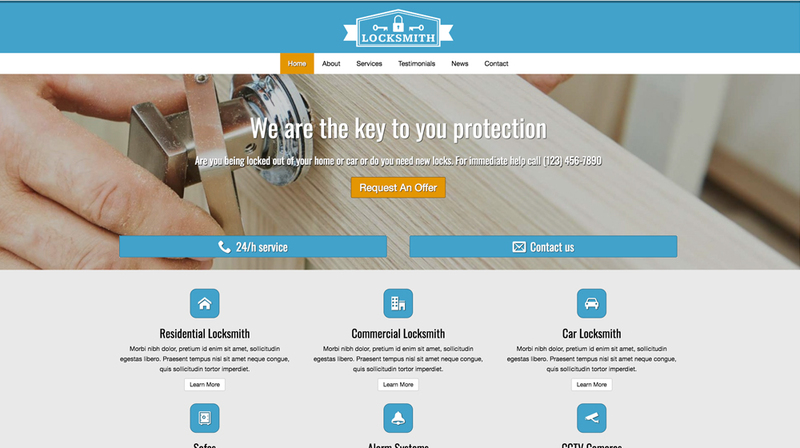 The Home Security WordPress Theme was made for professional locksmiths wanting to take their business to the next level by going online. 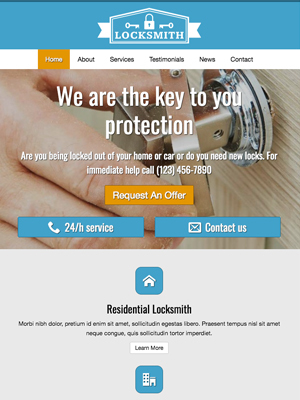 Prominent calls to actions on nearly every page of the Home Security WordPress Theme encourage visitors to get in touch with you online without making them search for the link. A classic blog feature is included in the WordPress theme. Regularly adding relevant news to your blog can help boost search engine rankings. With a multi columned layout and lots of media options you can create highly attractive and informative service detail pages. The theme is beautifully designed to offer visitors a wealth of information in an organized layout while allowing your own character to shine through. Help new customers make up their minds by sharing reviews from existing clients. 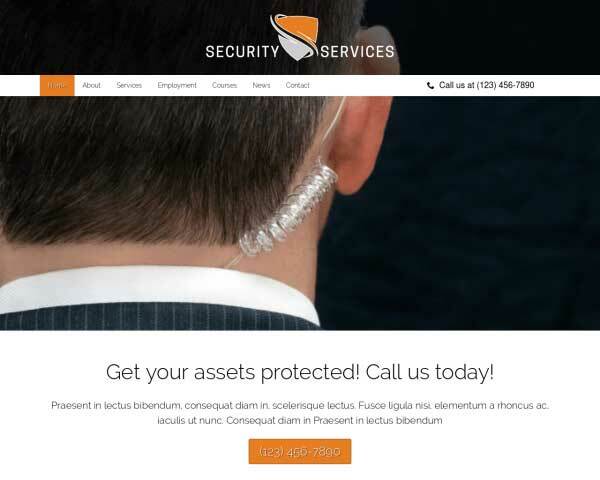 Just replace the text and the Home Security WordPress Theme will style your quotes in this format. 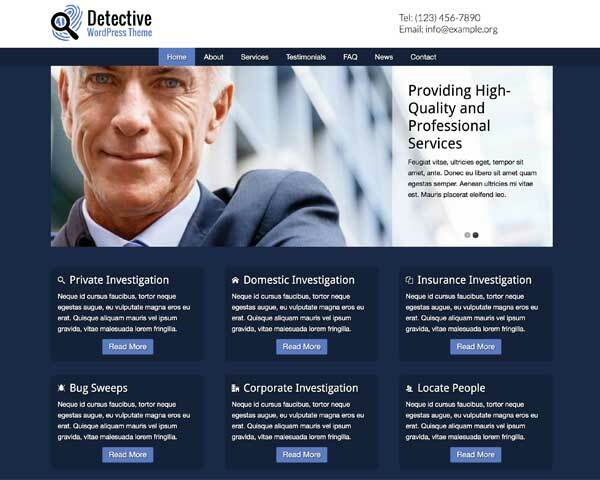 Offer an attractive overview of your services on the homepage of the Home Security WordPress Theme, along with quick navigation to important pages on your website. When you use the Home Security WordPress Theme to build your salon website, your photos and text will automatically be adjusted to fit any screen size no matter what type of mobile device your customers use to view your pages. We've built this salon website template to be fully-responsive, mobile-optimized right out of the box with no extra work required! Whether customers are browsing at home on their desktop or searching for a nail salon in the neighborhood on their smartphone from just around the corner, visitors will experience the same professional design and easy navigation.